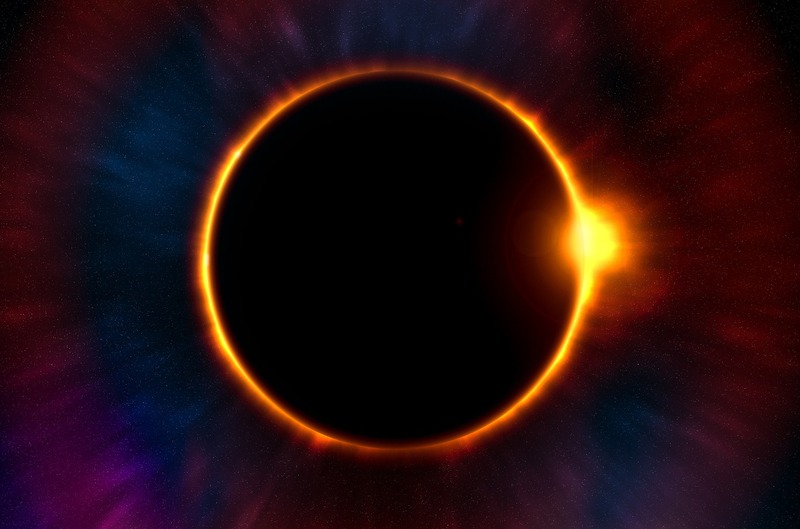 A career eclipse can obstruct our view of new opportunities or exciting change. Happy Eclipse Day everyone! Here in Southern Illinois, we are among one of the hottest spots in the country for today’s viewing. And you know what? We’re proud (and slightly scared) of it! Ozzy Osbourne is in town – as are hundreds of thousands of visitors whom our little neck of the woods may be a bit small to shoulder. Some of our grocery stores were out of bread on Friday. Many of our eldest residents pledged to stay indoors throughout the long weekend of festivities spilling into Monday and beyond. Us? We’re thinking about career happiness. We know, we may have a slight problem. The Great American Eclipse got us wondering: What are some of the common eclipses in the world of jobs? What obstructs our view from the goal of loving and laughing our way into retirement? What is passing in front of us, blocking our source of illumination into true career happiness? Unfortunately, viewing a career eclipse isn’t as easy as popping on a pair of NASA-approved glasses (some of which were being hocked for up to $100 on Facebook community swap pages in our area over the weekend). And they don’t last two minutes and 38 seconds. They can leave us in the dark for long periods of time, delaying the onset of new opportunities or exciting career changes. Have you ever set an objective knowing that it may be too aggressive for your own skillset? Defining hard-to-reach goals isn’t overly harmful. Defining impossible-to-reach goals can be downright destructive. As in they hamstring our ability to celebrate smaller victories along the way. Sure, you generated $200K in sales last year. But your milestone was set at $2M. Oops. A poorly set goal is like a total eclipse of the heart (sorry, we had to go there). We all know a bad boss. They expect more out of us than they are willing to give. Instead of breathing life into their teams, they completely deflate all energy from a room. We dread coming into work and our focus shifts from doing a great job to avoiding our superior. Hence, our vision of career happiness takes a back seat to our goal of simply surviving the workday. Relationships are everything at work but this doesn’t mean they will always be positive. Half the battle is knowing how to navigate interactions with those who we may not see eye to eye with. We can be our own worst enemy when it comes to limiting our career opportunities. We lose our edge and settle in. We let others pass us by on the corporate ladder. Our excuses outnumber our accomplishments. This can happen over the course of days, weeks, months and eventually years – leaving us to feel disgruntled and disgraced by our inactivity. Some say the key to overcoming this inactivity is activity. We tend to agree. So how do we get past the obstructions holding us back at work? We simply turn around, bright eyes (last time, we swear). Since there is no danger of going blind here, we suggest that you look straight into the face of your career eclipse. Skirting around uncomfortable issues will only make them fester. Life’s too short! And your career is even shorter. Take the time today to get at the heart of what’s holding you back and address it head-on. No, not with cardboard and a thumbtack. Think of your career pinhole projector as how you view your current situation. Consider the small things that may be holding you back. Maybe you need to have an honest, authentic sit-down with your direct supervisor. Perhaps requesting a new, challenging project will help improve your current career happiness. Start small and watch your progress snowball into bigger, better things. Joe Szynkowski owns and operates The UpWriteGroup, a strategic writing firm focused on executive branding and corporate copywriting. Listen to his recent radio interview on career happiness and corporate content development here.